The following notes come from the Norfolk Heritage websites where you can find historic notes, aerial photography coverage and map coverage of the villages in quite good detail. Picture of school kindly loaned with no copyright. It would seem that Ellingham is a Saxon settlement and as such would have had the same access to the River Waveney as the later incomers, the Vikings. See the Kirby cane origins page for more details about the river access to the two villages. "Ellingham is a parish on the Norfolk-Suffolk border, on the banks of the River Waveney. It is located between Broome and Geldeston. The village name is Old English and means ‘homestead of Ella or Eli’. The village is mentioned briefly in the Domesday Book suggesting the settlement may have Saxon origins. The village is rather dispersed, and the modern village of Kirby Cane has also now extended into Ellingham parish. Although the documentary sources only stretch back to 1086 when the Domesday Book was written the archaeology of the parish records human activity here from the prehistoric period onwards." 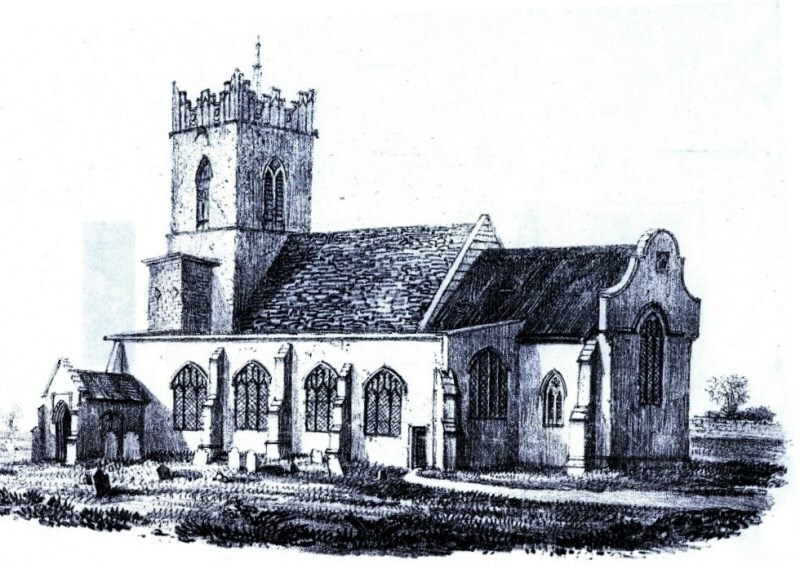 Note: The above picture of Ellingham church appears in the archives as Erpingham church however, research shows that it is in fact Ellingham. See pictures page here which shows how the evidence confirms this.